For as long as history has been recorded on Albion, the tribes have been there. Over the years they have grown, shrunk, and grown again. Hundreds of petty battles fought and forgotten. What separated the human groups from Albion’s other life was their ability to listen and to understand. Though the people of the tribes were not naturally as powerful as the beasts around them, they learned to enhance their natural savagery with that of the wolf, the bear, the eagle. Even the smaller animals had secrets to share, providing the watcher was patient enough. 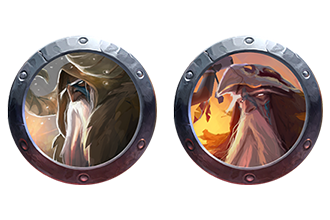 Over time, the tribes developed crafting skills to make claws of their own, as sharp as the wildest animal’s, and imbued with the land’s magic. Where warriors would watch the predators, some among them took a broader view, listening to the whisper of streams, the rustle of leaves and the roaring of wind through the mountaintops. They became the first druids, attuning themselves to the heartbeat of the land. Life was not easy, however, for ancient Albion was also home to the Dragons, who treated the land as their playground. Humans were food to be eaten or toys for torture. In fact the Dragons saw all other life as beneath them and terrorised Albion with fang and fire. Then, one day, a giant noticed a man listening to a mountain. The man spoke, the mountain answered and the giant saw an opportunity. Up until then, the giants had regarded humanity as little more than food, only really taking an interest in them at mealtimes. But on closer inspection, these tiny mouselike versions of themselves were also capable of speech! This was a revelation to the giants, who had just assumed the noises humans made were senseless squeaks. Not long after, the first meeting was held between the tribes and the giants. Both sides agreed that the dragons would turn the land to ash given enough time and that only together could they save Albion and themselves. An accord was made: providing the tribes respected the land and worked with the giants, the giants would stop eating the tribes. A war followed that lasted for many years. Giants and humans joined forces with the great beasts of the land, throwing ferocity and numbers against the magical might of the dragons. In the end it took the sacrifice of the very oldest of the giants to finally turn the tide in their favor. Many thousands of tribal warriors died, along with countless animals. Nearly a whole generation of giants were wiped out, the cost so high that when the war finally ended, there was no celebration. This was in part because the threat had been contained rather than destroyed, for the dragons' nature was immortal and no power in Albion could truly end them. The druids came together to perform a great ritual, forcing the dragons into a deep and endless sleep. It is said that every mountain in Albion holds a dragon, though this is not precisely true. Some are imprisoned under the plains, others beneath mighty lakes. The locations are kept secret, known only to the most elder druids. Sometimes the dragons stir in their sleep and a lake will begin to boil or a mountain spurt lava, but always the druids come to reinforce the magic and the dragons drift off to sleep again. 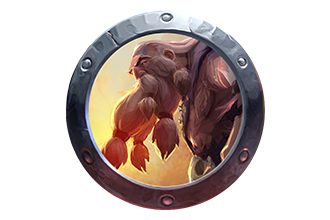 From then on, the tribes and the giants became known as the Keepers of Albion, both for their role as the dragons' jailors and for their greater calling of protecting the land from other threats. In a day-to-day sense, life returned to normal. Sometimes a giant accidentally ate a person. Sometimes the tribes would argue among themselves. But, for around two hundred years, Albion enjoyed relative peace. Then, a druid began to have ideas. His name was Merlin and he was popular among the young and more vulnerable, with talk of uniting the tribes and making changes, of creating new laws, of working the land in a different way. He argued that there would come a time when the dragons would wake once more and that, when that time came, they needed to be ready. The tribal elders did not like his radical talk and, after many arguments, it was agreed that it was best if Merlin was to leave. He did, and no small number followed him. More years passed peacefully. The tribes occasionally heard about the strange acts of Merlin, of his great stone houses and clanking men. The elders did not approve of the way he mined the treasures from the earth and urged Merlin to stop. Merlin ignored them. Tensions grew but never developed into conflict. Gradually the Keepers removed themselves, wanting nothing to do with Merlin’s folly. Time proved Merlin’s predictions to be true and the great red dragon, Dauthir, rose from the earth, its cries stirring other nearby dragons from their slumber. Rather than send the dragons back to sleep as the Keepers had before, Merlin sought to use his new weapons to destroy them. A great battle was fought and the sky turned black. The Keepers watched from a distance, fearing the worst. Three days passed before light came to Albion once more. It revealed the dragon to be dead, but nobody celebrated. The troubles were far from over. When Merlin’s great empire descended into war with itself, the tribal elders exchanged knowing looks and waited for the fools to wipe themselves out. However, Merlin tricked them into thinking that Morgana’s armies were a great threat to all of Albion. Little did the Keepers realise that it was their arrival on the battlefield that scared Morgana into deepening her relationship with the demons. Not since the time of the dragons had such forces torn across Albion, culminating in Merlin’s ritual that cast back the demons, slaughtered the knights on both sides and blanketed the places of fiercest fighting under deep mists. Shaking their heads, the Keepers returned to their homes to lick their wounds. A thousand years passed under the Keepers' watchful eye while the mists remained, making areas of Albion unreachable, and blocking all access to the sea. When the mists began to retreat, a terrible scar was revealed on the land, and around it, restless spirits stirred. The Keepers took this as an omen of things to come... and they were right. Not long after, strange humans arrived, wily and selfish like the Merlin of the stories. And elsewhere, old enemies crawled from their holes, the ones that consorted with demons, still fighting in Morgana’s name. The Keepers see the threat of a new war and they are ready. The humans of Albion tend to be larger than those of the old world. They have a hunter-gatherer culture, often moving from one favored hunting ground to another over the course of a year. They are organised into tribes that each have their own leaders. Loose rules govern them all but an individual tribe will have unique quirks that mark them out. However all the tribes will put their differences aside should a threat to Albion itself appear. A tribe’s strategies are simple and direct. They can coordinate like a hunting pack of wolves, but often prefer to skirmish as individuals. Their warriors are brutal, and capable of giving up their conscious thought to enter a primal, raging state. Status is governed by a mix of what you have accomplished and your age: the older you are, the more respect is afforded. Sometimes a giant is chosen to go through the rites and become the Earthmother. The title and relics convey both power and status. Afterwards she is no longer seen as a giant, rather as a manifestation of the earth, and worshipped by giant and druid alike. Her presence is always a good omen, heralding the arrival of healthy children, the end of disease and an explosion of wildlife. 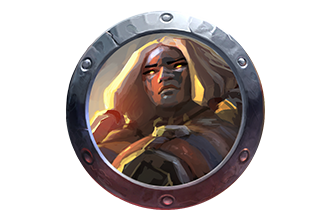 In the past the Earthmother has come to the aid of the Keepers' greatest heroes, and will join battle herself if pressed, especially if there are demons present. There are very few Earthmothers in the world but when one is killed or taken by old age, a new one is chosen from the ranks of the female giants. While most tribes will have their own druid, the druids also maintain links to those of other tribes too, meeting in sacred spots during the heights of summer and winter to practice their rituals and enjoy a good gossip. Druids are expected to stay out of tribal politics, though it is common for them to offer advice in times of strife. Giants never stop growing. As they age they become more and more like the land itself, until moss begins to grow across their backs and their skin becomes tougher and more stonelike. A young giant only sleeps once or twice a year but as they age these sleeps grow in duration and frequency. The oldest giants are as big as mountains and can sleep for hundreds of years if left undisturbed. Giants only eat meat, preferably meat that is still moving. They have a particular liking for human flesh, though due to the pacts with the tribes, this has become something of a delicacy.